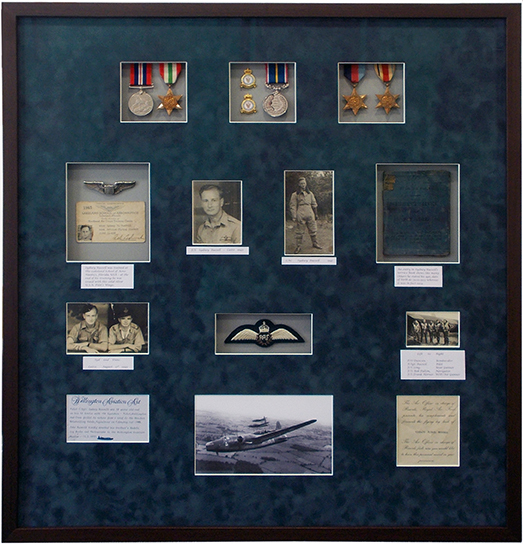 Instead of leaving all of your ancestors memorabilia in a drawer, why not have the choice items and photographs framed in a multi aperture mount like this selection of R.A.F. memorabilia? A very nice way to remember lost family members and to recognise an important part of your family history. We used a grey background mount card, with a dark blue suedette mount card to the front with a nice white bevel to set off the photo’s and medals.